Dream Place. . HD Wallpaper and background images in the mangarap ng gising club tagged: daydreaming beauty fantasy fairytale. 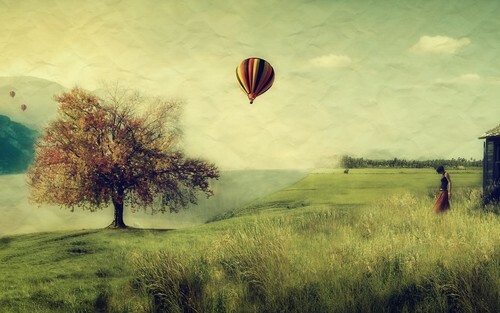 This mangarap ng gising wallpaper might contain hot air balloon.